Patrick Flanery’s Fallen Land is centered around two provocative and complex themes: the meaning of home, and the nature of the family. As he develops those themes through the book, the reader can see the inevitable collision, but can never tell where that intersection will come. We do know that the land about which he writes has its own tragic family history, and we also know that a modern crime was driven by desire for the land. Fallen Land veers between an omniscient narrator and the first person voice of Louise Freeman Washington, an older black woman who lives on the land left to her by her own parents. Her husband had farmed the land, but she was forced to sell when he died and left her in debt. She knows every fold and hollow, and the loss is as grievous as her husband’s death. As the story opens, Louise is squatting in her old home, existing in much the same way her ancestors had. She has little left, having fought the county to keep the last bit of her family land, which was taken through eminent domain to widen a road. The road needs widening because of the neighborhood built on the old farm. Paul Krovik, the developer who bought the land for a song, created his dream neighborhood of large houses on big lots. The neighborhood was supposed to be centered on his own home, a monstrosity where he would be the benevolent overlord. But Paul built shoddily, the land lost value in the Great Recession, and he went bankrupt amid a raft of lawsuits. Left alone by his wife and sons, Paul has literally gone to ground, living in a complex and secure bunker unknown to the rest of the world. The bunker has an access door into the house he built, and he haunts the rooms where he believes his dreams may still come true. But the house is bought for a song by the Noailles, a Boston family relocating to this unnamed Midwestern city for Julia’s university job. Nathaniel is also transferring to a better job with his employer, a multinational corporation with fingers in every imaginable pie. Their eight-year old son Copley, bright and inquisitive but troubled by the move, is enrolled in a charter school run by the multinational under a draconian set of rules, which he accidentally breaks on a regular basis. Paul can’t even pronounce their last name (No-Ales? No-Ills? ); that their name is pronounced No Eyes is a pointed commentary on their inability to see what is around them. Of course, the Noailles don’t know that Paul is living under the house, and when he sees the changes they are making, his anger erupts into madness. Copley is caught in the middle, repeatedly telling Julia and Nathaniel that he has seen the man slowly defacing their home, but they will not believe him. 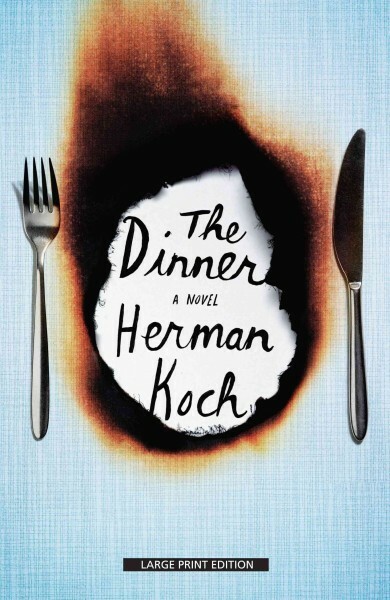 As Nathaniel gradually slides under the influence of his employer’s mission, he also begins to believe that Copley is destroying the house, sabotaging his work reputation, creating a rift between father and mother, and lying to everyone. As I said, this is a story about home and family. Flanery contrasts Louise’s grounding in the land and memories of her ancestors and husband with Paul’s obsession that his house creates his masculine identity and Nathaniel and Julia’s vision of a house as a sterile shelter from the world. Those perspectives come from the treatment the three of them survived as children, which is gradually revealed through the course of the story. As those revelations compound with the treatment Copley is receiving, the tension finally explodes. Flanery also explores the larger intersection of home and family in the public sphere. Nathaniel’s employer has the stated goal of making people safe in their homes, watched over by a government-contracted company concerned with their health and well-being. They don’t state that it also would track consumption, movements, relationships, and thoughts, then intervene when it judges those people dangerous. Nathaniel’s passive acceptance of that vision turns him from a specialist in creating rehabilitation programs for ex-convicts to a bureaucrat trying to convert those prisoners into a corporate profit center. To do that, they must identify criminals in elementary schools, imprison them as soon as possible, monitor them after release, and incarcerate them again for the slightest of infractions. Welcome to the future of safe homes and happy families. If you read this blog regularly, and I hope you do, you may notice that I like to read about politics. Strangely enough, Stephen King, who I really like, wrote a book about politics and my first response to it was less than enthusiastic. I read it again a few years later, and it really drew me in. Just goes to show that the same book won’t be the same every time you read it. Since then, I reread it several times and it’s one I suggest to people when they dismiss King as just another scary writer. The basic story: John Smith is a young teacher, a nice guy falling in love with a nice girl. Then an accident puts him into a coma, and years of that good life just melt away, along with all its possibilities. When he recovers, he has gained a frightening ability. Just by touching something or someone at an emotional moment, he gets flashes—visions of the past, intuitions of the present, knowledge of the future. Some might think it a wonderful power, except he can’t turn it off and can’t get people to believe him. Johnny has no idea what he is to do with this ability and no interest in exploiting it. He wants to go back to teaching, to pay off his enormous hospital bills, and to find that nice girl he’s still in love with, but word of his ability spreads and he becomes infamous. He also becomes sensitive to the reluctance that people—even the ones he loves?—feel towards touching him. And through a powerful experience he learns that he does have a purpose, even if it isn’t one he believes or wants. He sets off on his own to avoid it and to rebuild the wreck of his life. Johnny’s story is populated with memorable characters: Sarah Bracknell, his girl; Greg Stillson, the ambitious salesman intent on riding the winds of change; Sam Weizak, Johnny’s doctor and friend; Sonny Ellison, a reformed biker; Sheriff George Bannerman, a desperate cop; and Chuck Chatsworth, the student Johnny finally connects with. Each becomes a reminder to Johnny that he cannot escape his purpose and it becomes more and more apparent that this good and sensitive man is the only person able to prevent an apocalypse. Politics is the background Johnny’s struggle is illuminated against. From the radical disturbances of the early Seventies to the post-Watergate cynicism of the American public, Johnny is a witness to public life. The story becomes a lesson in political history as told through the eyes of a time traveler adrift in a culture he doesn’t recognize. People have become personalities, character has become charisma, ideas have become ideologies. But Johnny’s struggle is an eternal one—can the ends ever justify the means? So, what would you give for the chance to see a dead loved one again? How about seeing them at the significant times in their lives, times you couldn’t possibly have known about? What about the chance to talk with them in their afterworld? Sixteen-year-old Zoe discovers that the price may be far more than she believed possible. Zoe’s father died unexpectedly. Not only has she lost her beloved dad, his life insurance company has declared that he never existed (at least in their files). She and her mom are forced to move from their familiar home to a cramped urban apartment while Zoe’s mom searches for work. Zoe has a history of cutting and drug use, so her mom is always on her back. Her sole consolation is a young man she regularly sees in her dreams. Valentine is like a brother to her, and the tree fort they hang out in is a refuge from the bizarre world beneath their feet. He listens to her, offers good advice, and is genuinely present and concerned for her. But she doesn’t have any idea if he’s real or a manifestation of something else. While skipping school and mindlessly wandering through San Francisco, she winds up in front of an old record store specializing in punk music on vinyl. But the weird store owner has another room, one only certain people can see. Inside the room are discs that have captured the lives and souls of the dead. Zoe gets a taste of her father’s life, but she’ll have to pay with something more precious and talismanic if she wants more. When she decides she won’t pay and is cut off, she must summon her wits and her courage to find a path to the underworld. But that underworld is a hellish landscape, a purgatory without hope of either redemption or judgment. Zoe has to negotiate her way through a bizarre parody of a city, evading vengeful spirits whipped up by hatred of the living, and searching for an exit known only to ones who would kill her, or worse. 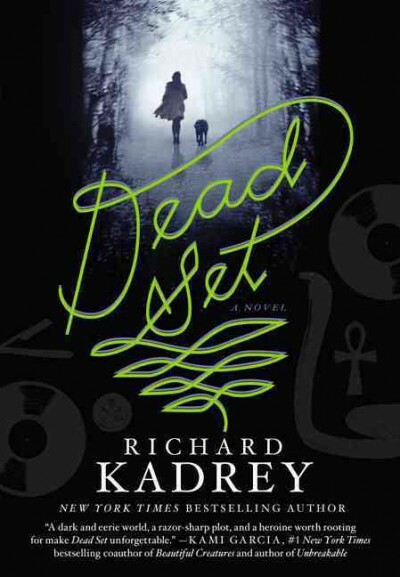 Kadrey has created a resourceful, determined young woman who is surprised by her own strength, and set her in an eerie world filled with disturbing imagery. The tone reminded me of two other books reviewed here on BFGB – John Connolly’s The Book of Lost Things and Robert Olen Butler’s Hell. Unlike the latter though, I would feel comfortable suggesting this to older teens. Most of all, it reminded me of the classic Greek stories of Orpheus and Odysseus’ journeys, and indeed the book has many subtle allusions to Greek myth. This is definitely a dark book with some heavy themes, but a good read. Stephen King has been particularly prolific in the last several years, putting out one or more novels annually. As a relatively new Stephen King fan, I had to check out 2013’s Joyland, King’s second novel after 2005’s The Colorado Kid for the Hard Case Crime imprint. As usual, King was full of surprises. I was expecting a rather straightforward murder mystery, but found myself consumed by something larger — an often sweet, sometimes weepy coming-of-age story whose characters have stayed with me long after finishing the book. I didn’t expect to be so touched, but of course, this is Stephen King so I should have anticipated the unexpected. Devin Jones is a broke 21-year-old college student who takes a job at a carnival in North Carolina during the summer of 1973. As Devin gets to know the colorful regulars who work at the park, he learns of the tragedy that happened some four years earlier. A young woman named Linda Gray had been killed in the park’s Horror House, a haunted house ride. Ms. Gray had been thrown onto the ride’s tracks by an unidentified man. Carnival employees claim that they see Gray’s ghost, at various times, hanging around the Horror House. Devin is intrigued by the story and embarks on an investigation to uncover Linda Gray’s killer, who may still be alive and lurking around. This is the set-up for the book; however, the most intriguing parts of the story, the real meat of the book, had very little to do with the Linda Gray murder mystery. Rather, the most intriguing parts of the story had more to do with Devin’s journey to adulthood. You see, Devin Jones is nursing a broken heart. Still pining for his college sweetheart who dumped him – a woman who no longer has feelings for him, if she ever did – the Linda Gray murder mystery provides Devin with a welcome, albeit disturbing, distraction. Along the way, Devin meets Mike (an outgoing young boy who is dying from Duchenne Muscular Dystrophy) and Annie (young Mike’s reclusive mother who may be hiding some kind of secret). While Mike’s enthusiasm for squeezing the most out of a life that is slipping away prompts the depressive Devin to consider his own life anew, Devin discovers with the thirty-something-year-old Annie a deeper attachment than he’d ever had with the college sweetheart who broke his heart. Devin’s relationship with Mike and Annie dovetails with the Linda Gray murder mystery in interesting ways. Even so, the murder mystery itself is almost pushed to the background until the very end of the novel. That’s okay though, because what we grow to care most about is Devin’s relationship with Mike and Annie and Devin’s growth as a person. The power of Joyland the novel derives, in part, from its strong sense of place. Joyland the carnival feels so real because Stephen King immerses you – the reader of Joyland — in the language of “carnies” (carnival workers). For example, “wearing the fur” means donning the costume of the park’s mascot Howie the Happy Hound and entertaining the visiting kids, an act Devin becomes intimately familiar with. And a “conie” is an unsuspecting visitor, one who can be easily conned or manipulated. Joyland is a tearjerker, so get the tissues ready. Joyland is also oddly uplifting, and the pay-off at the end is well worth the ride. If you’d prefer to check out the audiobook version of Joyland, don’t hesitate, because Michael Kelly does an excellent job of narration.